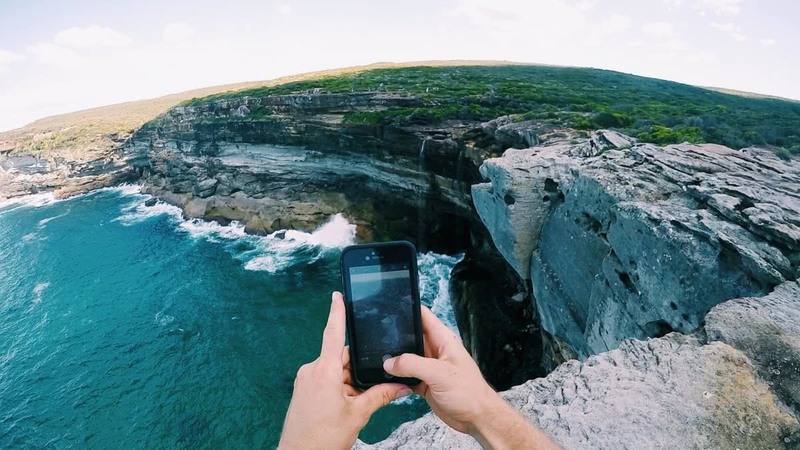 With summer weather forecasted, Jimmy and a buddy planned to get up at the crack of dawn to tackle the Royal National Park in Sydney’s South. We planned to drive the whole way through the Royal National Park in search for all the hidden waterfalls. With plenty on offer throughout the whole park; Camping, Hiking, Swimming, BBQ’s, Fishing, Birdwatching and Whale Watching, this adventure was shaping up to produce the goods. 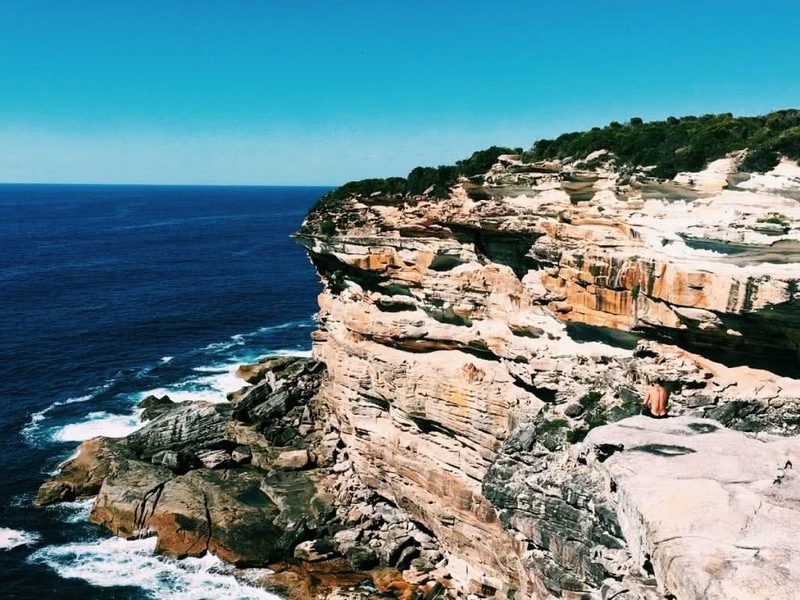 Following the The Royal Coast Track and the NSW Park marker arrows, make your way along the coast line via a track consisting of different terrains, crossing through shrubs and streams. 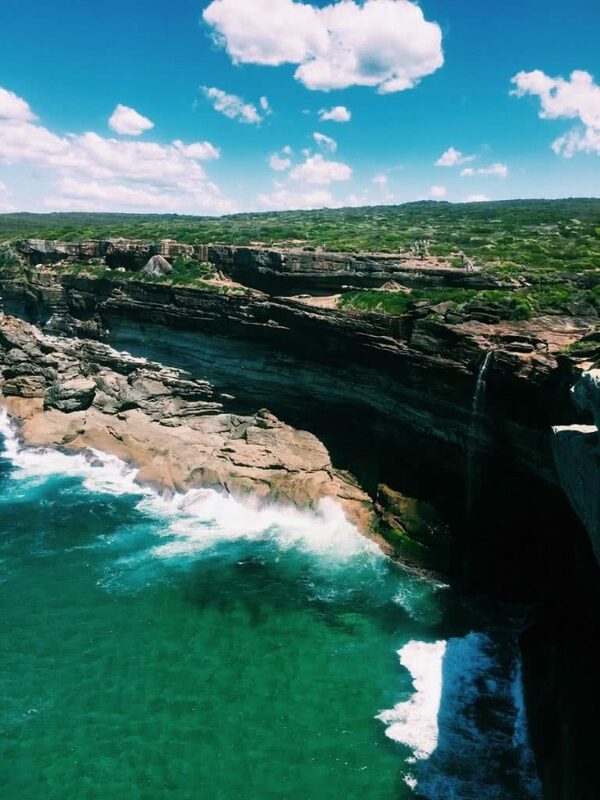 Be sure to take in the surrounding landscapes and coastline as you make your way to Eagle Rock & Curracurrong Falls. 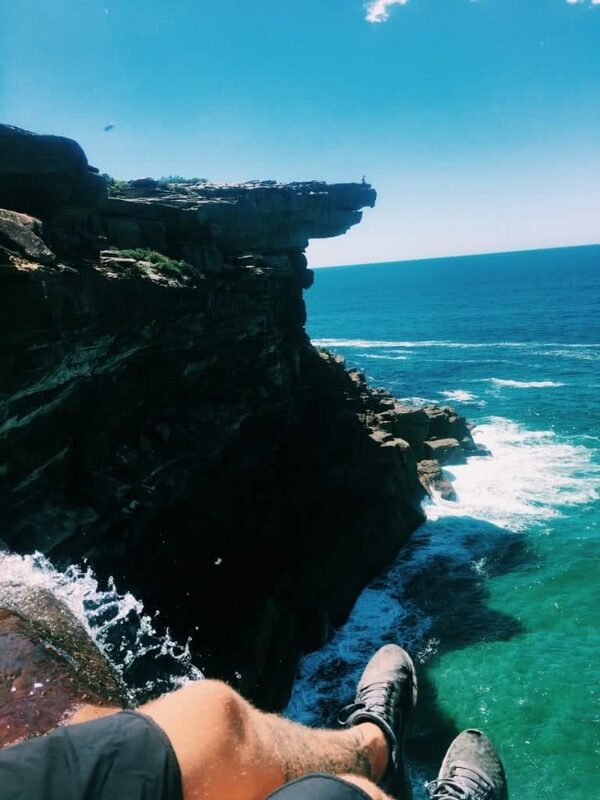 About 20 mins into your hike, you should pass Curracurrong Cove which is a little hidden gem where you can take a swim in the ocean or a perfect spot to take a break. You’re about halfway there. You should know when you have reached Eagle Rock and Curracurrong Falls by either a few groups of people perched up on a look out or by the rock shelves on the cliff’s edge. Be careful when standing on the cliff’s edge, as there is no safety barriers and people tend to get close to the edge to get perfect photo positioning. There are 2 waterfalls in this area to see, the ﬁrst one located right next to Eagle Rock, and the other just around the other side of Eagle Rock looking towards Wollongong. 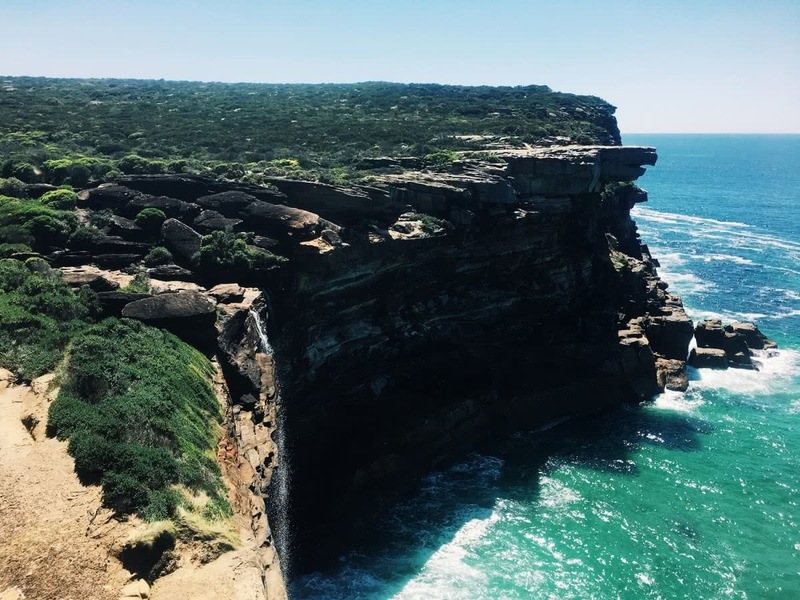 Be sure to spend a bit of time here looking at the rock shelf overhanging the cliff in the shape of an Eagle, hence why it is called Eagle Rock, and make your way down to where the waterfall is by crossing the stream and walking to the cliff’s edge, once again being super careful. We found that you got the best views of both waterfalls by standing on the edge of Eagle Rock. On windy days, you can see the ocean spray come up over the cliff with views of the luscious native shrubs and amazing landscape. To get the best view of Eagle Rock, stand on the cliff just above the ﬁrst waterfall, you should notice you’re at the right spot as there will be a few people standing here. During whale watching season this spot is epic for spotting humpback whales as you have uninterrupted 180 degree views of the ocean. Keep your eyes peeled for sea eagles or osprey that glide across the sky over the ocean, but don’t look up for too long you might miss the wildlife on the ground. Be careful when walking close to the cliff’s edge, there are no safety barriers stopping you from falling. From Sydney it is about 1hr 30 mins & 52km. Heading towards the airport take the M1 and Princes Highway/A1 to Lady Carrington Drive Track following the signs saying Royal National Park. Follow the signs to Wattamolla, passing by the NSW Parks ticketing station to pay for entry which is $11 and park in one of the designated parking areas. Make sure you get there early as they will block off access to Wattamolla Road when it gets too busy and you will be forced to walk a few kms down Wattamolla Road from Lady Carrington Drive Track. From the carpark, ﬁnd the sign which is located near the toilets on a wooden post, saying “Curracurrong & Eagle Rock” roughly a 3.3km walk from this point and about 1.5 hour return trip. 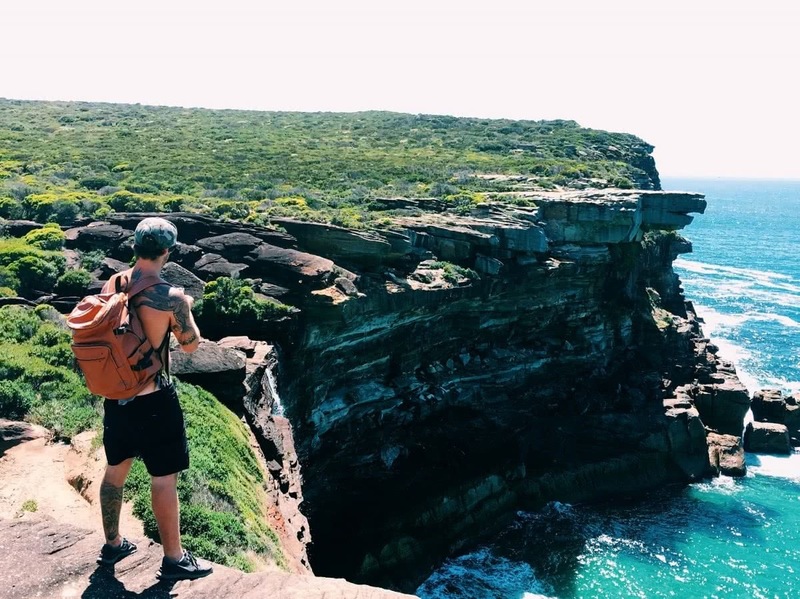 Jimmy Ds is a keen adventurer for finding hidden gems whilst searching for a life outside the 9-5. 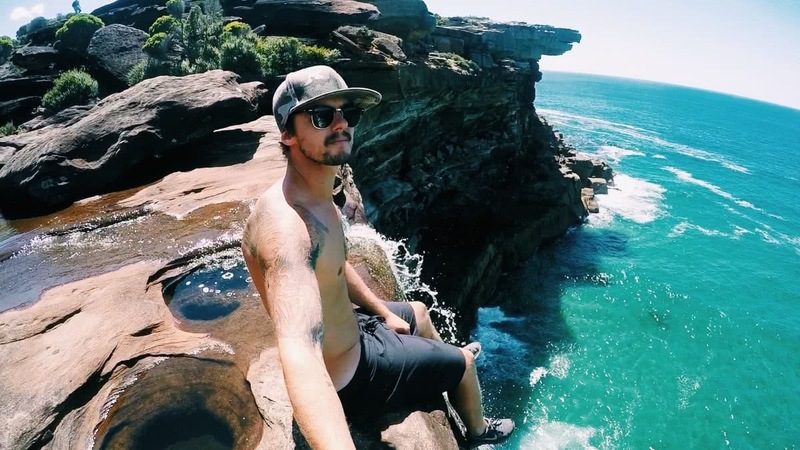 Through constant weekend adventures, see's him finding some of the most unique local places Sydney, waking up in the early hours of the morning to fuel his keenness of exploring. He hopes to tick off most of the worlds most hidden gems by creating a life outside of the 9-5.